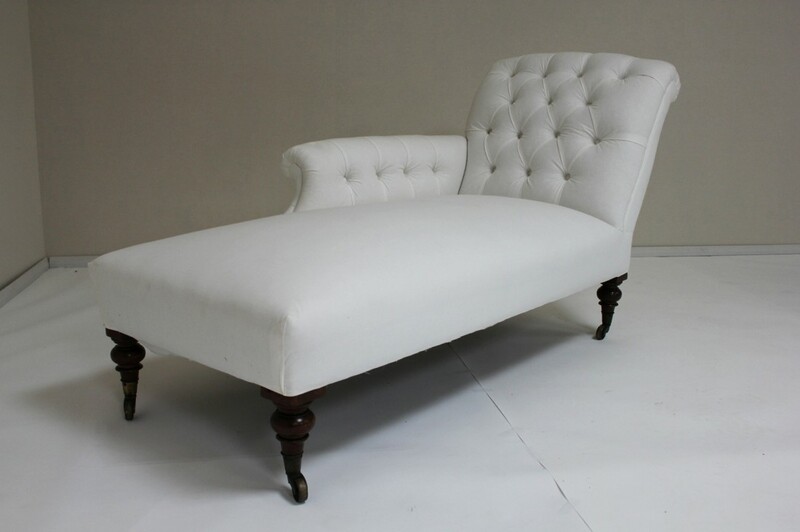 A very elegant Victorian chaise longue with softly buttoned back and side arm. Both have a delicate scroll and the seat has a comfortable dome which is fully sprung. 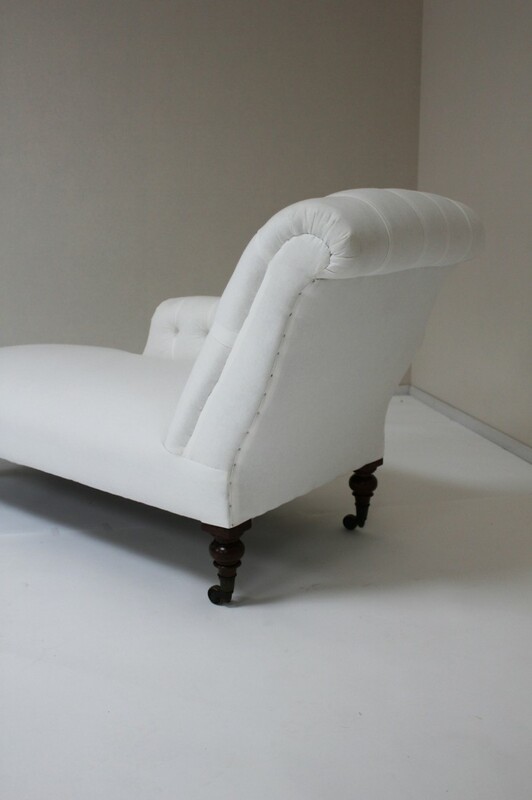 The Chaise has Mahogany ring and ball legs on original socket cup castors. We are happy to arrange a home visit for this piece if viewing is difficult. The frame has been completely restored which includes re-dowelling, re-gluing and new corner blocks, hence why we offer a 40 year construction guarantee. The upholstery is truly traditional, double English jute webbed, individual copper cone springs that are 8 hand tied with hessian overlaid, coconut hair, fine and coarse hair with a layer of wool wadding. All our top covers are fully patterned match and the outside edges are hand slipped stitched. Contact us for a quote to apply your selected fabric. You will require 7 metres of plain fabric or 8 metres of patterned fabric. To ask a question about the Victorian Chaise Longue click here. We'll email you the answer as soon as possible. 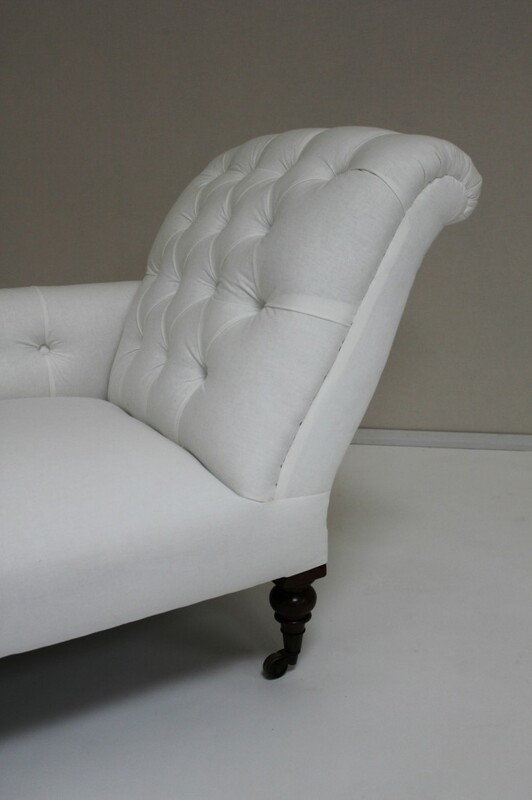 If you have a question about the Victorian Chaise Longue, fill in the form below and we'll email you the answer as soon as possible.